Discover Munich at its best with the Sheraton Hotel Munich Arabellapark. A few subway stops from the city center and only a few minutes’ walk from the English Garden, with us you will experience the special mixture of exciting city life and Bavarian coziness that makes Munich so unique. All of our 446 rooms & suites, partly comprehensive renovated, radiate warmth and comfort. The Sheraton Club Lounge is your place to relax, work and meet friends. 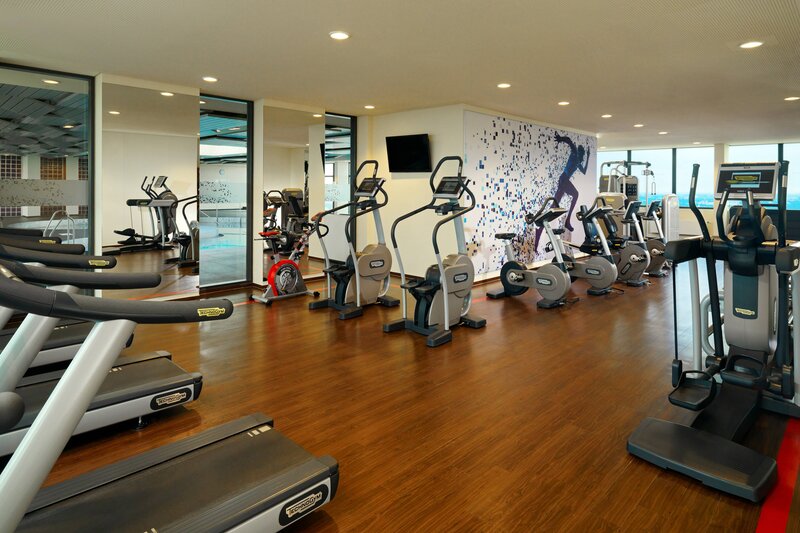 Our approximately 800m² wellness area with pool, sauna and spa is located on the 22nd and 23rd floor. Enjoy a unique view over the Munich rooftops to the Alps. 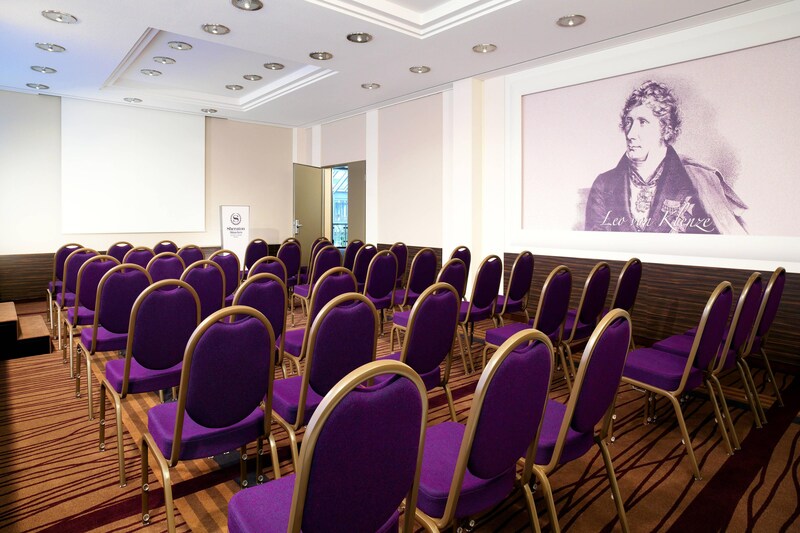 The Sheraton Hotel Munich Arabellapark has one of the largest conference centers in Southern Germany. 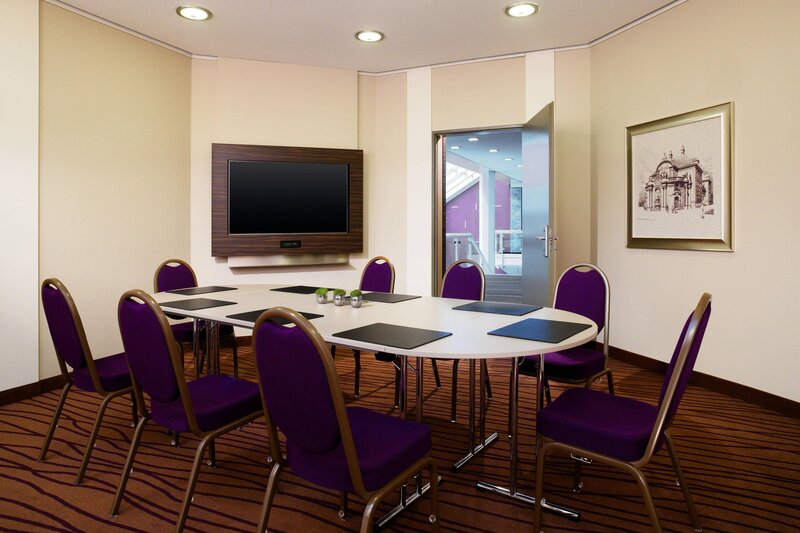 Together with our sister hotel Westin Grand Munich Arabellapark, located opposite, you have the choice of a total of 35 meeting rooms, which can cater for up to 1250 people, as well as 1,073 guest rooms and suites for your next meeting or event. 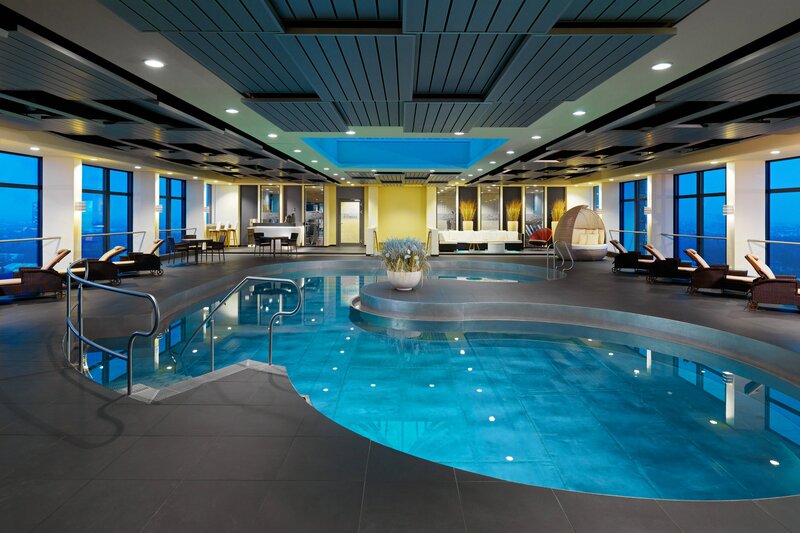 Maximize your time in Munich at the Sheraton Munich Arabellapark Hotel and beyond. Whether small meetings or big events, the adjacent conference center is the perfect place for up to 500 people. Two foyers with exhibition space of approximately 300 m² and 14 rooms, all with daylight are at your disposal. 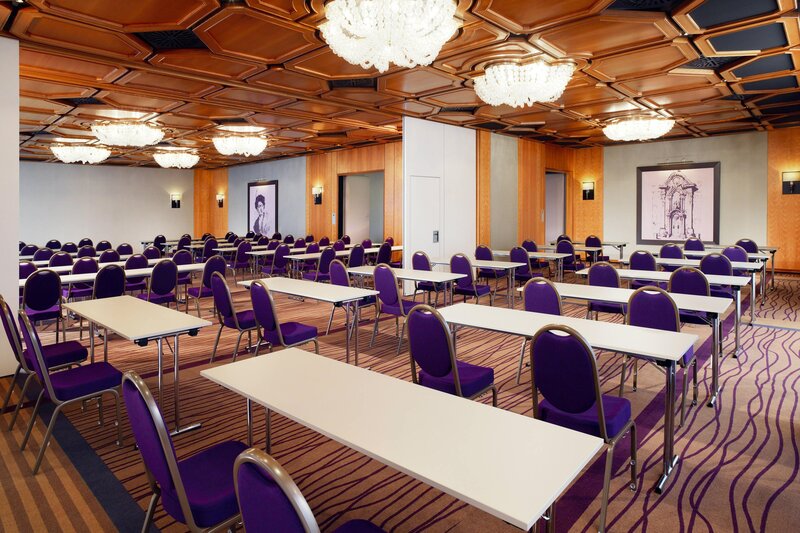 The conference center is anchored by the largest meeting room Cuvilliés, inspiring with its panorama windows and a direct connection to the terrace and the spacious foyer as the perfect adjacent exhibit space. We are committed to offering excellent service and are refreshing all of our 446 guest rooms and suites to continue to provide a great place to stay. The décor and design of our new guest rooms pay homage to the architecture of Arabellahaus, a landmark building with a long history in Munich. Mixing timeless design with colourful highlights our fresh new rooms have been upgraded to meet the expectations of today’s traveler. In combination with our expansive conference centre and various dining venues, our new rooms will continue the hotel’s legacy as the place that brings people together in Munich. 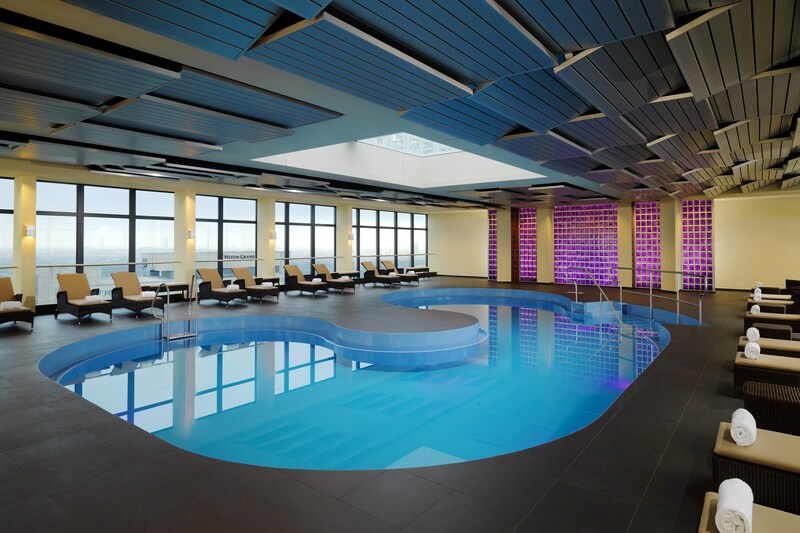 The spa area on the 22nd and 23rd floor, with pool, sauna and Sheraton Fitness offers a spectacular panoramic view of Munich, the Alps and best prospects for total relaxation. Train under assistance of a well qualified fitness coach according to your personal training goals, take part in our gym courses, loosen your muscles with a pleasant sauna visit or relax in our spa lounge. Our spa offers you traditional beauty rituals from around the world. Enliven your senses! Our modern alpine cuisine of the Restaurant and beer garden Zur Rostigen Kuh is inspired by the culinary art of Germany, Austria and northern Italy in an uncomplicated, light flooded atmosphere. Pamper your plate with regional quality products and fresh ingredients served with our sense for warm hospitality. Start your day right and enjoy a rich buffet breakfast in a cozy atmosphere of the Restaurant SixtySix. It is also available as an exclusive event location on request. Meet the locals in our stylish Bar5 combining the spirit of the time and Bavarian tradition. Our signature drinks are inspired by international classics and regional quality products. Enjoy food-pairing within our snack menu, for example Bavarian Tapas. Stroll around the beautiful Englischer Garten or have a drink in one of Munich&apos;s cozy cafés right next to the Isar: Our Concierges will be happy to guide you. The cosmopolitan city with a heart is one of the most popular destinations in Germany combining tradition and innovation like no other big city. The so-called most northern city in Italy is also an ideal starting point for day trips to the countryside. The picturesque lakes and the nearby Alps offer myriad opportunities for leisure activities and excursions. Discover the urban lifestyle and the Bavarian way of life. Learn more from us about what is so typically Munich. The main sights in Munich include the Viktualienmarkt, the Bavarian State Opera, the Frauenkirche, the old town hall or the famous Hofbraeuhaus located in the city center. Once the sightseeing ends, the numerous shops and boutiques lure visitors to an abundance of shopping experiences.